PennsylvAsia: 2001's Cowboy Bebop: The Movie (カウボーイビバップ 天国の扉) at Southside Works, August 15 and 16. 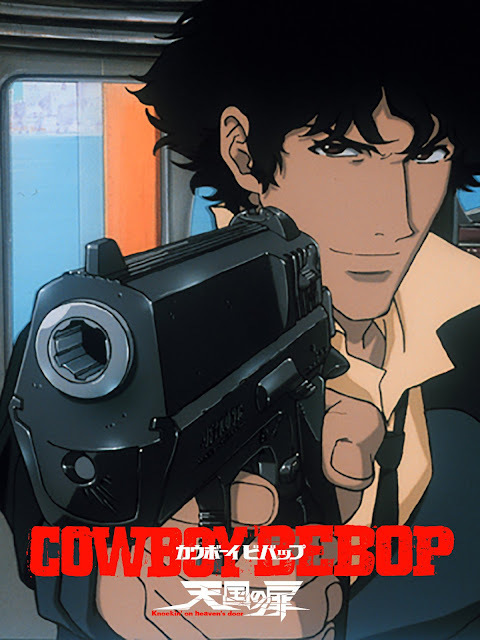 2001's Cowboy Bebop: The Movie (カウボーイビバップ 天国の扉) at Southside Works, August 15 and 16. Funimation Films announced today that Cowboy Bebop: The Movie (カウボーイビバップ 天国の扉) will play in Pittsburgh on August 15 and 16. The August 15 show will be in Japanese with English subtitles, and the August 16 show will be dubbed in English. Tickets are not yet available for purchase at the time of this post. Southside Works Cinema is located at 425 Cinema Drive in the Southside, one block from the Hot Metal Bridge (map).